SUVs have gotten more compact over the years, but sometimes what you need isn’t a little commuter vehicle. 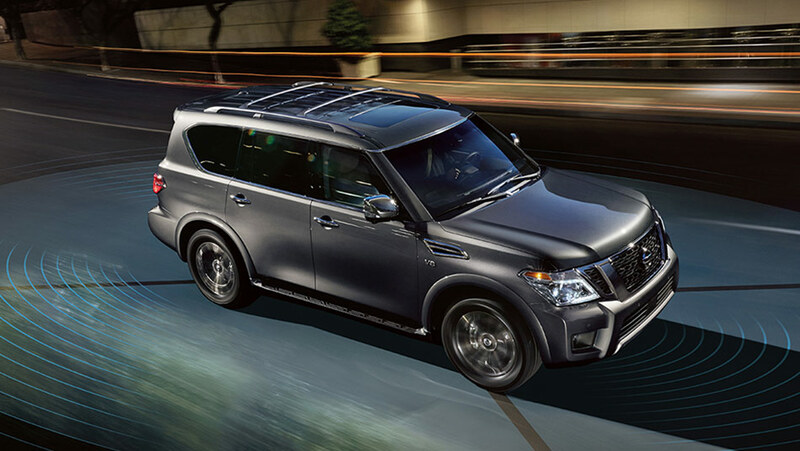 Sometimes, you need the space and power of a full-sized SUV in your life—an SUV like the 2019 Nissan Armada. Whether it’s for transporting the whole family, taking trips with the camper, or going on an adventure, the Armada has you covered. With a maximum towing capacity of 8,500 lbs, and a 390 horsepower 5.6L V8 engine, you have all the power you could need at your fingertips. Plus, this SUV isn’t just full-sized and fully capable—the 2019 Armada is also full of luxury. Best of all, it’s available starting at just $65,498. 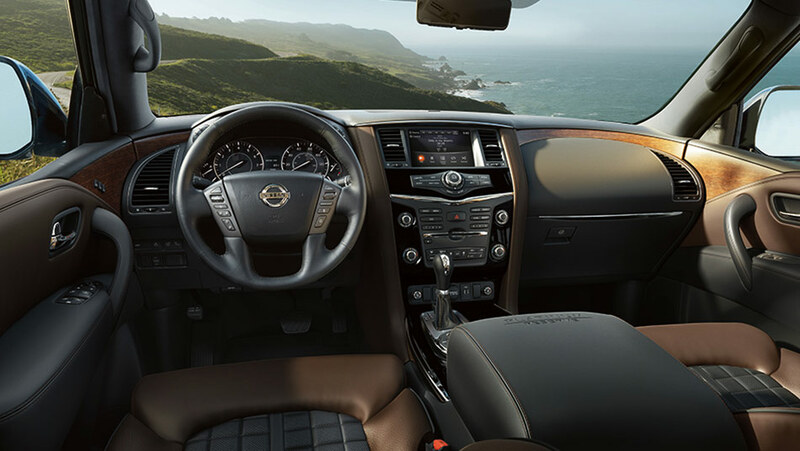 Part of the beauty of the full-sized 2019 Nissan Armada is the sheer interior volume. You’ll never worry about whether you have space for a passenger or their cargo ever again. With over 4,700L of space, every one of your 7 passengers will have all the elbow and leg room they could want. Plus, they’re in for a luxurious ride. Serenade them with the Bose® Premium Audio System with 13 speakers, or spring for the available Mobile Entertainment System to let them enjoy movies or games during your journey. Need more room for your luggage or groceries? Not a problem for the Armada, thanks to power 3rd row seating, which can fold flat with the push of a button. Under-floor storage offers a hiding spot for extra gear or valuables, and the standard power rear liftgate makes accessing your cargo space as easy as the push of a button. SUV technology continues to improve, and the 2019 Nissan Armada packs in all the latest driver assist technologies – many of them standard! Every Armada comes with features like Blind Spot Warning and Rear Cross Traffic Alert, Automatic Emergency Braking and Intelligent Forward Collision Warning. Not enough for you? Consider adding on Intelligent Blind Spot Intervention, which automatically steers you back into your lane if you’re about to drive into a vehicle detected in your blind spot. Or the Intelligent Rear View Mirror, which turns the mirror into a camera view outside the back of the vehicle, so you can see past a full load of a passengers or cargo! The Armada even keeps your eyes safely on the road by offering convenient, hands-free Bluetooth phone access, so you can stay connected on the go!